As well as increasing your site traffic we also need to optimise pages to deliver more customers. It may be great to have a sales page with 10,000 visitors a month but if you are only turning 1% of those visitors into sales you are missing 9,900 potential sales. Conversion rate optimisation (CRO) is a process we use to try and increase the number of people actually purchasing through your website. Ideally we would like a 100% conversion rate; realistically we will be aiming for a 10% conversion rate. According to annual research published by The Marketing Sherpa Report average company conversion rates are between 8 and 13 %. This largely depends on brand and company size. Companies that use inbound marketing average 12% - those without tend to reach only 6%. If your conversion rates are already in this bracket then great. However, there is always room for improvement. We want to make sure that we are not missing ANY opportunities for sales. There are a number of techniques we need to examine for CRO and a number of potential pitfalls that could be hampering your efforts. With that in mind we will take a look at the most important CRO techniques. The process that takes people from hearing about our products to purchasing them is incredibly important. A staggering 89% of consumers now use search engines and social media to research products BEFORE buying them. In terms of CRO we need to make sure that what people read about us online helps channel them towards buying our products. There are three techniques that are important here; Firstly, that people write positively about our brand, secondly that what we put out about our brand encourages sales and thirdly that we optimise our on-site content to encourage purchases. This sounds obvious but the reality is often different. A few bad reviews can damage your online reputation irreparably. A few bad reviews amongst hundreds of positive reviews will go unnoticed. This means that we need to encourage positive reviews. Firstly, we can offer free trials and products to people reviewing our products and services – high impact bloggers, websites and news agencies. This should be part of our marketing initiative and helps create strong brand image. Secondly, we can restructure our customer support to make sure that we deliver the best post purchase support service we can. Customers are more likely to write positively about our brand if they have had issues and you have responded helpfully and efficiently. This can be as simple as creating FAQ’s for your products/services or delivering free after purchase extras to improve customer experience. Thirdly, we can manage our on-site content to make sure we are providing potential customers with exactly the information they need and the support they require. There are dozens of potential ways we can improve our sales funnel all of which are worth trying – do we need a direct phone contact, do we need live chat support, do we need to create more extensive user guides to our products, do we need to offer discounts to increase sales? 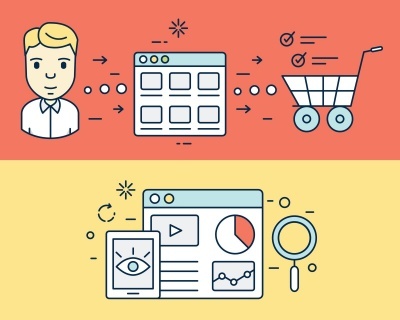 This brings us onto the most important aspect of CRO – SPLIT TESTING! Split testing is an on-going process whereby we show different visitors to our website different sales pages. Essentially we create two versions of a page – with minor or major changes to one. We then split our traffic between the two pages and work out which one converts more efficiently. For example if we have 10,000 people visiting our sales page and a 1% conversion rate we will create a second version of this sales page. The following month we will send 5,000 people to the original and 5,000 people to the new page. We will expect around 50 people to convert on our original page. We are hoping that the second version of our page will convert at a higher rate. If after the second month page B is converting at 3% we will make this our primary page. We repeat this process making small changes and monitoring improvements in sales. But what do we split test? Split testing ranges from the simple to the incredibly complex. Screen positioning, colour schemes, type of information displayed, size of key information displayed, additional options, sign up boxes – in fact everything on a sales page can be restructured to try and influence CTR. For example how our call to action buttons are placed and designed can improve Click Through Rate by as much as 5%! What we need to do is test everything and keep improving and optimising your sales pages. The more data we collect and the more hypotheses we test the more we can increase sales. Please contact us if you require help with your SEO.